Ancestors of the nautilus were “the great white sharks” of the prehistoric seas. They evolved an edge that made them efficient hunters: a shell that allowed them to float—and stalk other ancient creatures still stuck crawling around on the ocean floor. Today’s nautiluses are smaller and more mild mannered than their ancestors from 500 million years ago. They still cruise the depths, however, in a similar way. Nautiluses regulate their buoyancy by changing the mix of seawater and gas inside the spiraling chambers of their shells through a thin tube called a siphuncle. They propel themselves along by squirting sea water through a tube called a siphon. Keeping a low profile in the twilight depths of the Indo-Pacific has served the nautilus well. Now, however, this Extreme Survivor is in trouble. After surviving five mass extinctions, the nautilus may disappear due to over-harvesting for the shell trade. In the Phillipines alone, one population of nautiluses has plummeted by 80 percent in the last 15 years. 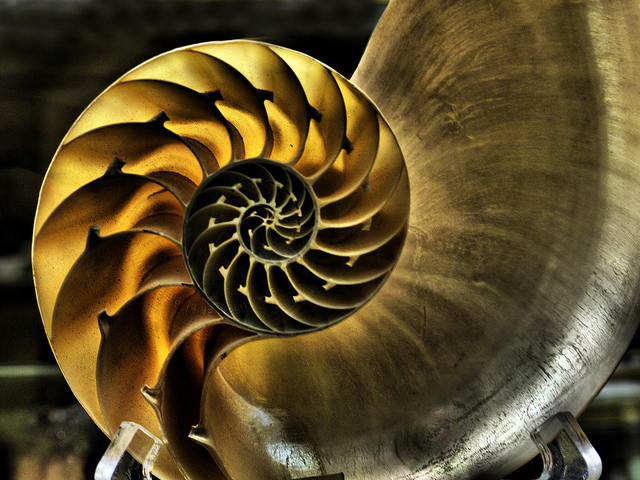 Humans have harvested nautiluses for centuries, captivated by the beauty of their spiraling shells. Conservationists say it’s time to stop–before this ancient cousin of the octopus vanishes altogether. In 2017, the National Marine Fisheries Service proposed protecting the nautilus under the Endangered Species Act, and Palau, India and Fiji have joined in calling for its protection. Some countries also have banned the sale and trade of this ancient reef dweller, but its future remains uncertain. We have much to learn about the life history and ecology of this ancient reef dweller, which is a cephalopod, or “head foot” related to the octopus, squid, and cuttlefish. 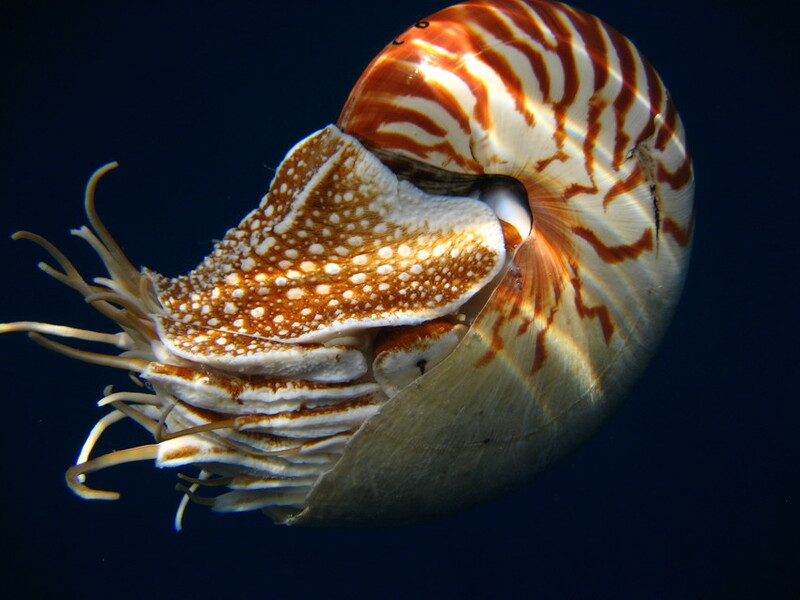 Nautiluses reach maturity at around five years old and can live up to 20 years. They lay up to a dozen eggs at a time, but no one has seen the eggs hatch in the wild. You can, however, watch a nautilus hatch at the Monterey Bay Aquarium in this cool video! 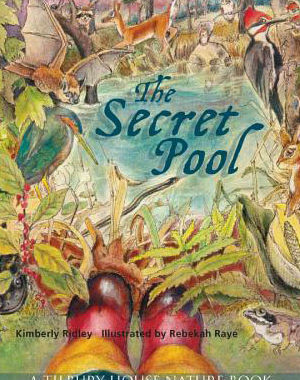 Aquarists there are trying to raise these creatures in captivity–and learn more about their marvelous, mysterious lives. 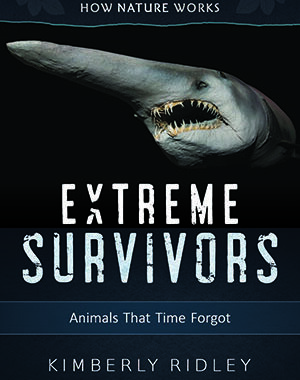 For more on the nautilus and other amazing ancient creatures, check out my book Extreme Survivors: Animals That Time Forgot. 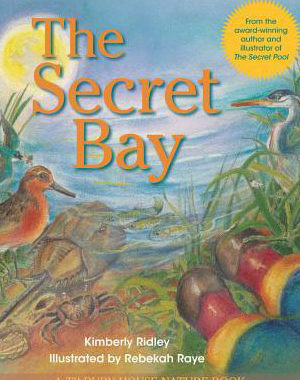 (Tilbury House Publishers). Posted in Blog, Extreme Survivors, Monterey Bay Aquarium, nautilus.